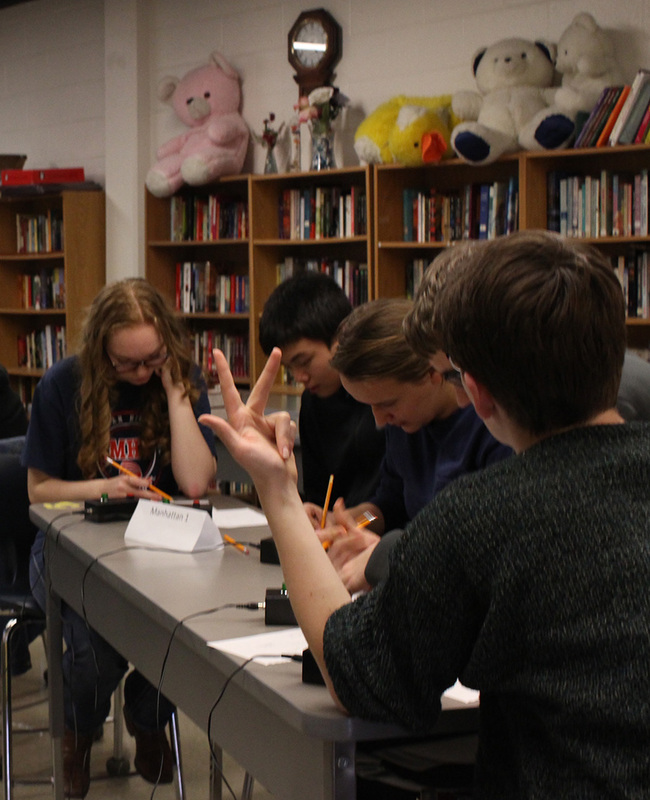 The MHS Scholars Bowl team works to complete a math question during the Scholars Bowl competition on Jan. 28. After a long season of focus, training and preparation, Scholars Bowl placed first at Regionals in Wichita on Jan. 31. “I knew we had a very solid team going in giving us a very good chance to advance to State,” Ted Dawdy, Scholars Bowl sponsor and math teacher, said. Team morale was high following their win, with students feeling proud of their accomplishment. Regionals was one of the toughest meets for Scholars Bowl. 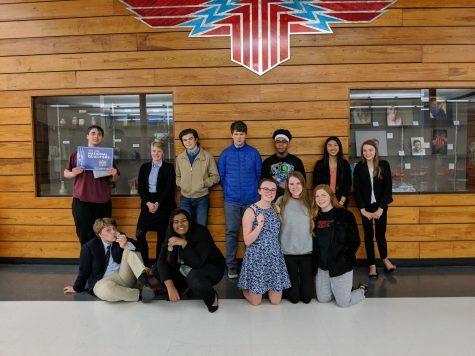 Ten teams participated in the tournament while only four will qualify for State: MHS, first; Wichita East, second; Liberal High, third and Junction City, fourth. The tournament was broken down into two different pools, red and white, and then a champion pool: MHS, Junction City, Derby, Liberal, Wichita East and Wichita North. 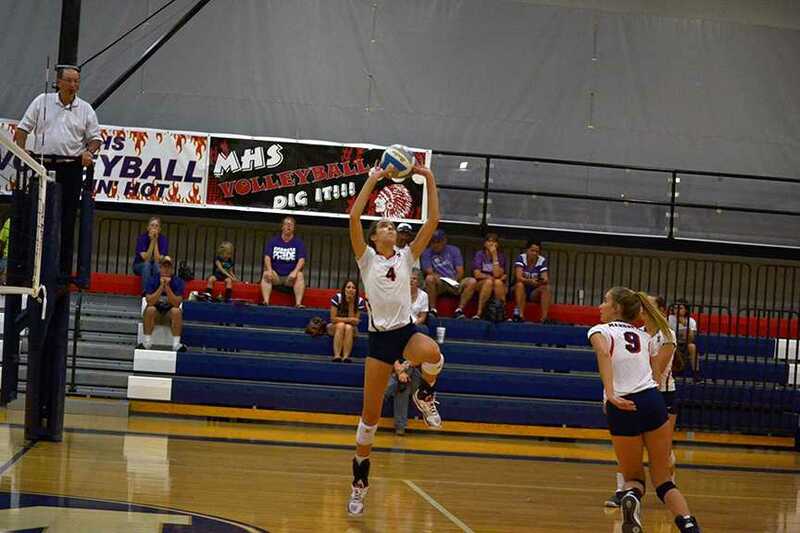 MHS competed in the champion pool after their initial pool, which led them to victory. 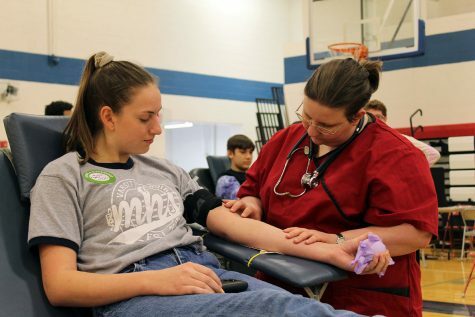 MHS won each round by a significant amount of points. Even though Scholars Bowl has placed in most of their tournaments, the team is still working on improving and strategizing to figure out a way to place in State. They hope to build off their recent winning streak. “We were only getting third and fourth in our first few meets, but we’ve been consistently placing first,” Chikan said. 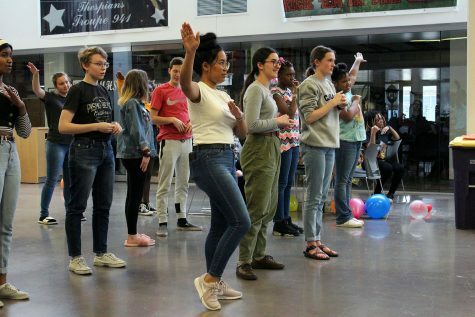 Although Scholars Bowl placed first in Regionals and want to celebrate their accomplishment, there is still time needed for them to practice for State, which will be the final meet of the year. Eight teams will participate in State on this upcoming Saturday starting at noon at Wichita West High.